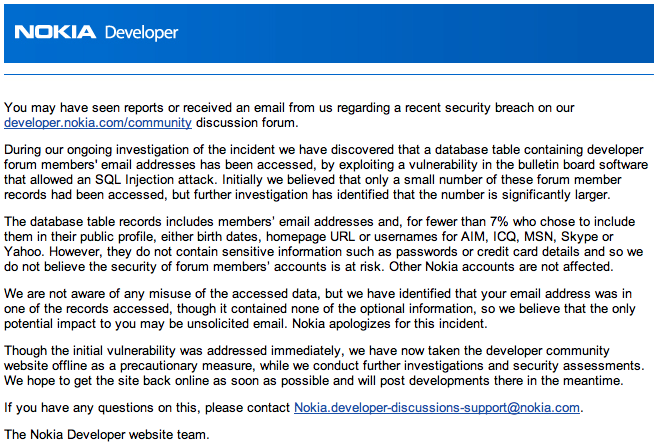 Great, yet another instance of my supposedly secure personal data having been stolen by hackers unknown. I’m beginning to doubt if there is actually any more of my data out there that’s still private to be stolen in this way. Most of it is now probably in the public domain thanks to the likes of Nokia, Travelodge and Sega. 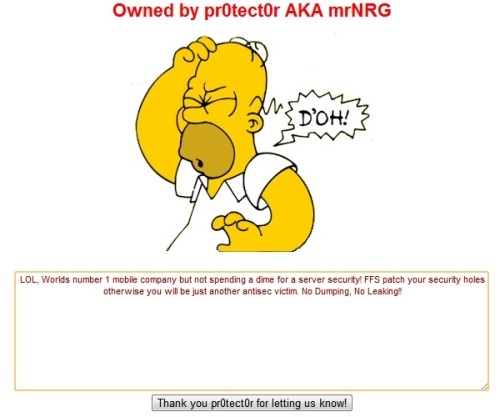 This entry was posted in General, Rant, Security, Techie and tagged hackers, Homer, mrNRG, Nokia, Nokia Developer, pr0tect0r, SQL injection attack, vulnerability by djh. Bookmark the permalink.